It started with my blog post about losing my job. Different people reacted in different ways. A lot of folks suggested I write a book (then I explained the book business a little bit). A few told me I "had" to become a teacher and coach (then I explained how long it would take to get certified and how the American economy had pushed a lot of folks like me - pushing 50 - into the "alternate route" teaching market, and that it would be very risky). And there were others, many others, who simply told me to "hang in there." Well, I appreciated everyone's words. But only one person came to me with something unique and different. That was Paul Cunningham, who is the founder of Leather Head Sports, the husband of an old friend of mine, and a guy who I have watched turn a passion - leather sporting goods - into an extraordinary business. Paul sent me a story called 10 Reasons Why 2013 Will Be The Year You Quit Your Job. He sent it with the following message: "Read this and embrace it." If you don't have time to read the whole article, let me quickly tell you about item No. 5. Having basically had my professional life ruined by one person in 2010, this one hit me hard. As a former colleague once said to me about being a magazine writer, "If the right guy likes you, that can be all it takes to be successful. If the wrong guy doesn't like you, it can go away in a split-second." I am not delusional. I know for a long time, I had a couple of people who believed in me, and gave me 13 years that exceeded anything I ever dreamed I would do as a sportswriter. But, the reality is that as soon as there was a change at the top, and those people were replaced by people who did not hold me in the same regard, I was one hundred percent done. No questions asked. So, there was the article. And it was inspirational. But - pause - I'm not really a guy who buys into the whole Tony Robbins "Power of Positive Thinking" thing. It's just not my thing. So, I'd read stories like this before, about taking control of your life, about doing something entrepreneurial. I appreciated the sentiment, but I was not truly ready to grab the message and run with it. A day later, Paul reached out again...this time with more. A little background on Paul. 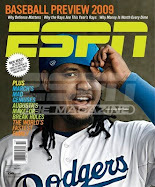 He was a photo editor for Major League Baseball for a long time. But his passion has always been baseball gloves. 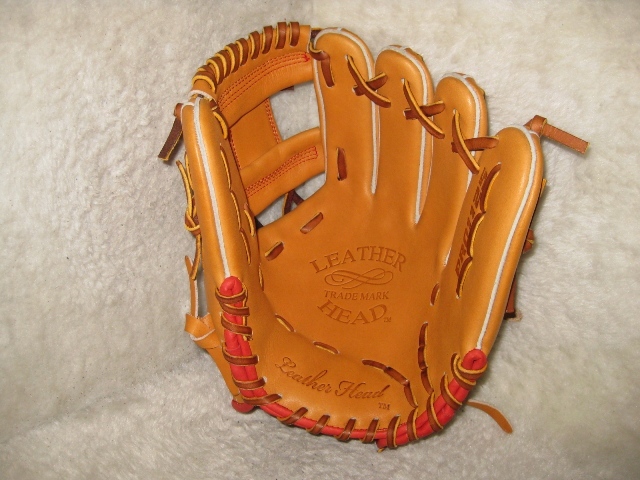 He left his job at MLB to make gloves (a senior glove craftsman) for the Hawthorne, N.J.-based company Akadema. Around that time, my friend Steve Wulf was trying to put together a story on "where a baseball glove comes from," basically a glove's story from cow pasture to baseball diamond. I hooked Steve up with Paul for a conversation. The story - to my knowledge - was never written, or maybe it just ended up in the holding zone. Things didn't work out at Akadema for Paul, and he found himself in a place similar to where I was back in mid-January. 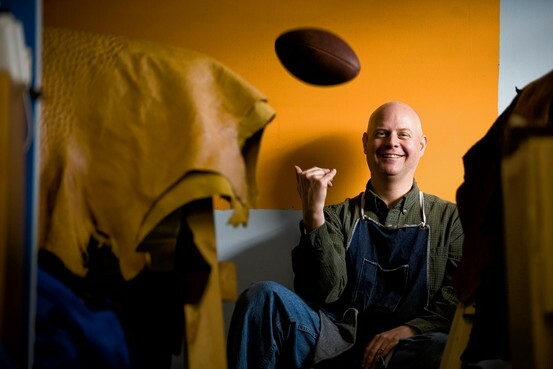 That's when he started Leather Head Sports, making handmade leather footballs and "lemon peel baseballs" and Naismith-era basketballs. Not "for game use" balls, but balls that are part collectible, part toy, and 100 percent cool. But, at the same time, I knew what Paul really wanted to do was design and perfect baseball gloves. This was our connection. 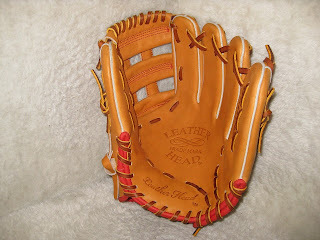 I could throw Rawlings and Wilson model numbers at him and he'd know those gloves without even having to look them up. I told him stories about gloves I had and gloves I gave away. Stories about good leather and bad. For each story I told, Paul added background, provided knowledge. And so a day after Paul sent me the "10 Reasons" article, he sent me something better. 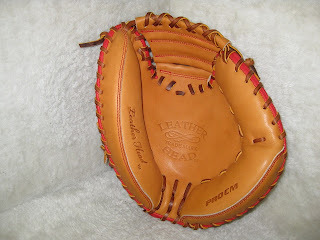 It was a note telling me he was ready to launch Leather Head baseball gloves, and he wanted me to help him. My response was three words. "I'm all in." From there, we sat down together and talked about gloves. We also talked about our dreams for our wives and our kids. We talked about a lot of stuff. And we started designing gloves. Well, Paul did the designing. I told stories. Because, well, that's kind of what I do. It's really all I do. And them came yesterday, and our first look at our Original Six prototypes. Two infielders gloves. A glove designed for pitchers. 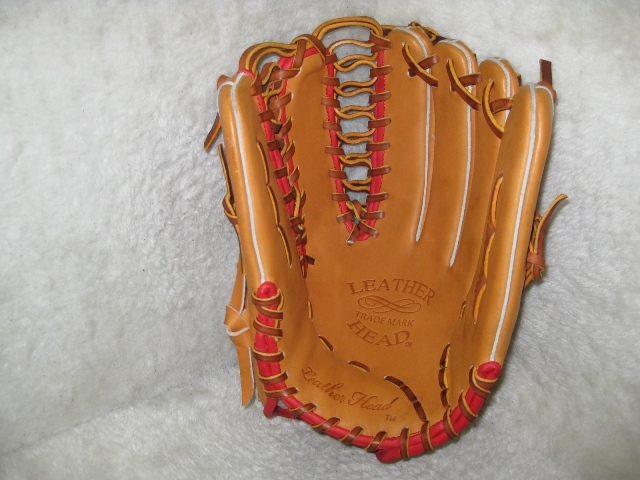 An outfielder's glove. 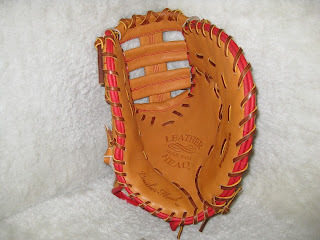 A first baseman's mitt. And a catcher's mitt. This week, these gloves will be put in the field. I will hand a few out to a few guys I know who have played the game at high levels. A minor league infielder. A major league infielder. A former big league catcher. 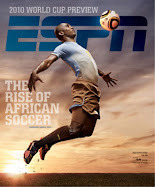 And, yeah, I'm going to let my son (a high school player) try one out. We will ask for feedback. We will tweak. We will perfect. 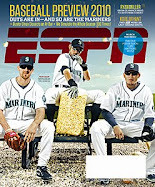 We'll need help from people who are involved, invested even, in the game of baseball. But this is the dream of two grown men. A dream that's becoming reality. Time to have a catch. And like us on Facebook! What is skill? What is style?